Business executives are the most corrupt group in Africa after police officers, a new survey indicates. This is the first time its annual survey ranked businessmen as highly corrupt, Transparency International said. Abuses of power increase poverty and deprive people of basic needs, the anti-corruption watchdog warned. Poor people were hardest hit as they were almost twice as likely to pay a bribe compared with the more affluent. More than people 43,000 were interviewed in 28 states in sub-Saharan Africa for the People and Corruption: African Survey 2015. 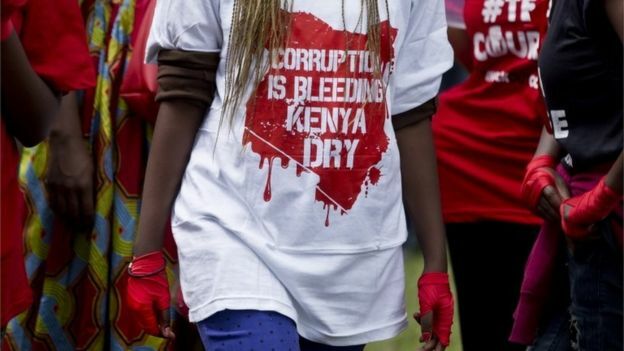 Corruption rose in Africa over the past year, with about 75 million of people paying bribes over the last year, the survey said. The majority of those surveyed – 58% – said that corruption had increased over the past year. Some of these were to escape punishment by the police or courts, but many people were forced to pay “to get access to the basic services that they desperately need”, it said. Liberia has by far the highest rate of bribery of the countries surveyed, with 69% of people who used public services saying the had paid bribes in the past year. This was followed by Cameroon, Nigeria and Sierra Leone which were found to have high bribery rates of between 41% and 48%. In East Africa, Uganda fared worse than Kenya (38% to 37%), while Zimbabwe (22%) and Zambia (17%) were the most corrupt in southern Africa. Botswana, Mauritius and Cape Verde, where 2% of people were forced to pay bribes, had the lowest bribery rates in sub-Saharan Africa. This was on a par with low bribery rate countries on other continents, such as in Europe or the US, Transparency International says. Only about one in 10 people who paid a bribe actually reported it last year. The top reasons given for people failing to do so was fear of the consequences (35%) and that it would not make a difference (14%). There was therefore a need to focus on “protecting those who report corruption, making existing reporting mechanisms more effective, and awareness raising about how and where to report”, Transparency International said. 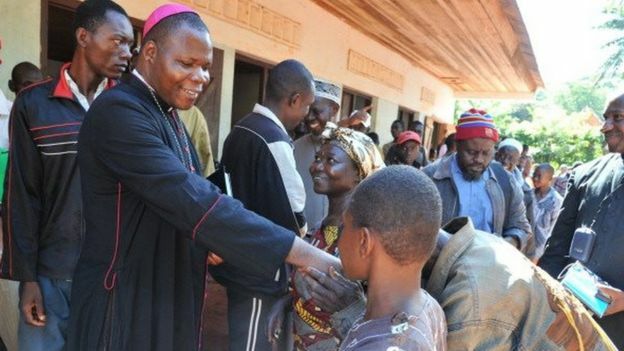 Those surveyed regarded religious leaders and traditional leaders to be the least corrupt, although 15% still saw the clergy as corrupt and 21% for the latter. Government officials and tax officials rank as the third and fourth most corrupt groups – 38% and 37% respectively. Judges and magistrates also ranked badly with 34% viewing them as corrupt, compared with the 33% ranking for parliamentarians and the 31% for the offices of presidents. Out of six key public services, people who come into contact with the police and the courts were the most likely to have paid a bribe, the survey showed.